If you have an enquiry regarding any of our products or need help with an order please contact our Customer Service team on 0843 289 9317 during our office hours Mon-Sun 9.00-5.00. You can also send a message to info@treezy.co.uk or use our contact form and we will get back to you as soon as possible. We hope you will be pleased with your purchase. If you are not, in addition to the terms of the UK Distance Selling Regulations, you can return any unwanted items bought from treezy.co.uk for exchange or full refund within 14 days of date of despatch and in original, undamaged packaging. Please email us at info@treezy.co.uk, ensuring to note your order number, to arrange a return, or call our Customer Service team on 0843 289 9317. Our returns policy excludes sale items. We also accept cancelled orders under the Distance Selling Regulations. If you decide to cancel your order with us, you must let us know in by email, quoting the order number. Write to us at info@treezy.co.uk. We charge £3.50 for all orders delivered within the UK. Orders within the UK exceeding £100 are sent free of delivery charges. Orders are usually despatched within 48 hours and are delivered within 3 – 5 days. There are several payment options available to you. We use PayPal as one option to handle online payment processing. Payments may be made using credit or debit cards or via PayPal account. PayPal is a safer, faster, more secure way to pay online. We do not store your financial details. Please visit paypal.com for information on PayPal payments. We also use Stripe for credit card or debit card payments made directly via the website. Stripe is a safe, fast and secure way to pay online. We do not store your financial details. Please visit stripe.com for information on Stripe payments. We also accept Apple Pay. This is an alternative safe and secure payment option in addition to the alternative methods offered. We do not store your financial details. Please visit apple.com information on Apple Pay payments. We can take payment over the phone if you prefer to speak to an advisor to place an order. Simply call 0843 289 9317. 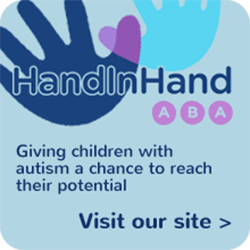 Our founders are the parents of a child with autism as well as professional ABA practitioner. Treezy is an expression of our passion around developing the potential of children with autism and providing essential learning resources. Learn more about us. redistribute material from this website. Except for content specifically and expressly made available for redistribution (such as our newsletter).